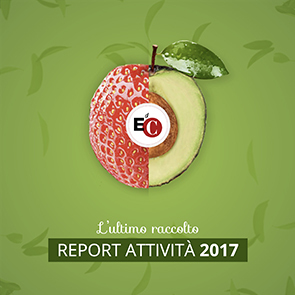 Tuscany Region, in harmony with the Expo 2015 (Feeding the Earth) and in collaboration with Toscana Promozione, Polo Lionello Bonfanti – E. di C. Spa and professors from all Tuscany Universities, launches an international call for young researchers for research projects on Quality of Life. This call is interdisciplinary and it is addressed to young researchers in all social sciences. We intend to attract young scholars to work on their own projects under the supervision of international experts on Quality of Life. The aim of this initiative is to establish a network of researchers to promote studies on Quality of Life. 16. food, health and well-being. The research projects should lead to publishable articles in international peer review journals, with clear-cut and innovative policies to promote Quality of Life, progress and well-being. Tuscany is a global symbol for the Quality of Life and well-being. Tuscan civil humanism (XIV-XV centuries), one of the golden ages of Western civilization, was a happy mix of economics, art, spirituality, culture and urban planning (it was not at all coincidental that in 1786 Leopold II, Grand Duke of Tuscany, was the first to introduce the abolition of the death penalty). This tradition, embedded in the beauty of Tuscan landscape, cities, towns and monuments, has been the basis for the Tuscan development pattern of the post-WWII, able to reconcile economic prosperity, Quality of Life, social cohesion and environmental sustainability. For these reasons Tuscany is an ideal ground for this initiative, aimed at creating a global reference point for the studies on Quality of Life. Up to 15 projects will be selected among the proposals. Activities will take place from December 2014 to October 2015. Researchers will have to come to Florence in two time periods. The first will be from 16th January to 2 nd February 2015. In this period researchers will have to attend four international conferences (described in the attached file) on different aspects of Quality of Life. Moreover, researchers will present the state of progress of their respective projects in workshops where they will have the opportunity to discuss their work with the keynote speakers of the conferences. In the same time period researchers will attend the winter school on “Quality of Life, Well-Being and Social Relationships”. The second time period will be in October 2015 (for 3 days), during a workshop where researchers will present the final results of their work. Researches have to be concluded by 30th September 2015. The organization will cover all travel costs to Florence. A check of 1.200 Euros will be paid after the approval of the final draft by the scientific committee. Project description: main goal, brief literature review, main hypothesis and data description (not exceeding 5 pages: MS Word, font 12, Times New Roman, 1.5 spacing, standard margins). Motivation Letter (not exceeding 1 page).